The Jacob Bromwell Pyramid Toaster lets your guy toast bread the way real men toasted bread when pioneers pushed westward across the frontier — only he can do it without getting tuberculosis and an Indian arrow through the neck. 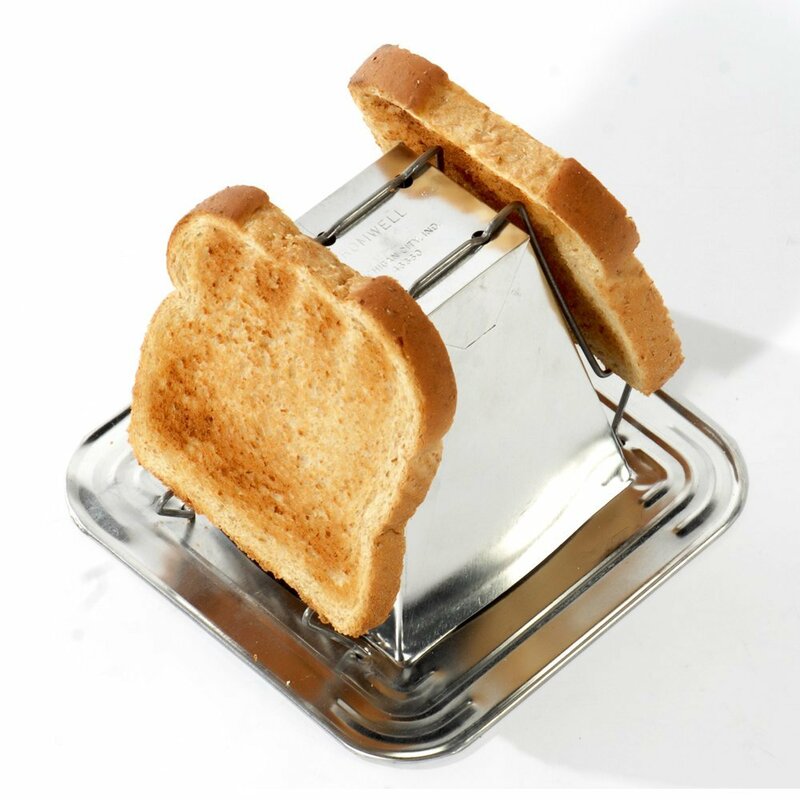 the pyramid toaster is essential and tops of survival gifts for men list. He can make perfect toast anywhere, without electricity, using an open flame, campfire wood or a wood-burning stove. The pyramid toaster is constructed the same way, using the same materials, as it was 200 years ago. When the British torched the White House during the War of 1812, and James Madison had to go hide in the woods, this is how he ate toast. It toasts completely and evenly, it comes with a crumb catcher, it’s 100 percent portable and it wouldn’t set his ridiculous Amadeus wig on fire. You guy is a man’s man. He can survive on the bare essentials — but let’s not pretend that those essentials don’t include warm, crumbly toast.